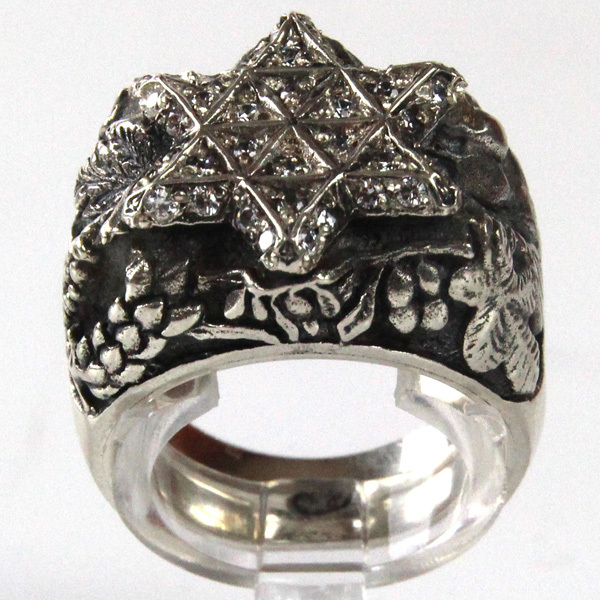 The ring was designed under the inspiration of the famous works created in Bezalel school of art in Palestine during the early 20th century. 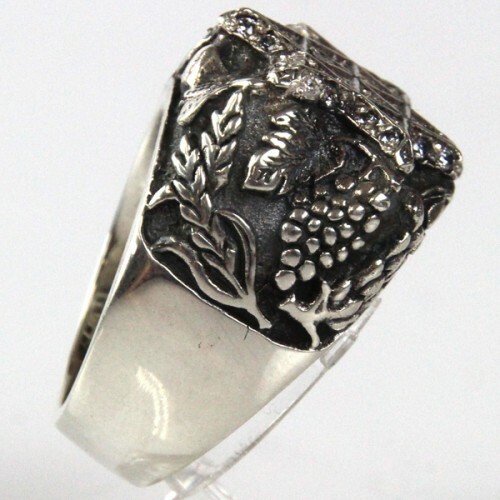 Wide and heavy ring, in carved artistic work, impressively ornamented with The Seven Kinds of crops in the land of Israel (Shivat HaMinim). The relief work on the top is in a shape of The Star of David set with CZ in Art Deco style. 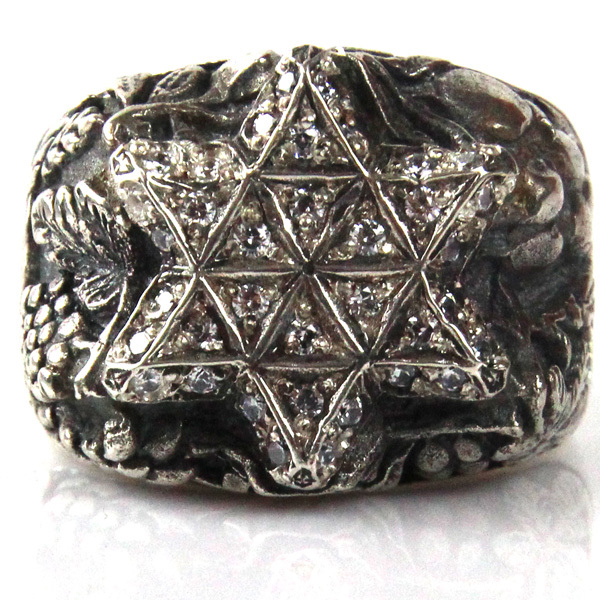 The inner part of the ring is pierced and engraved with a Bezalel style Star of David. 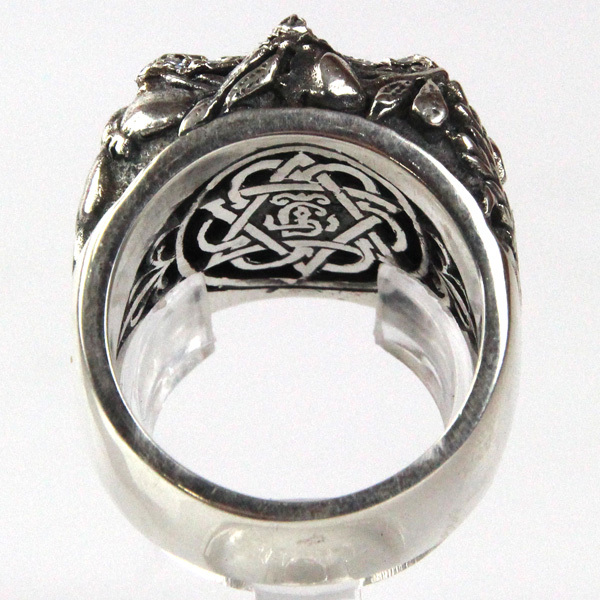 Front width – 19mm. / 0.748in. Width – 7mm. / 0.276in. 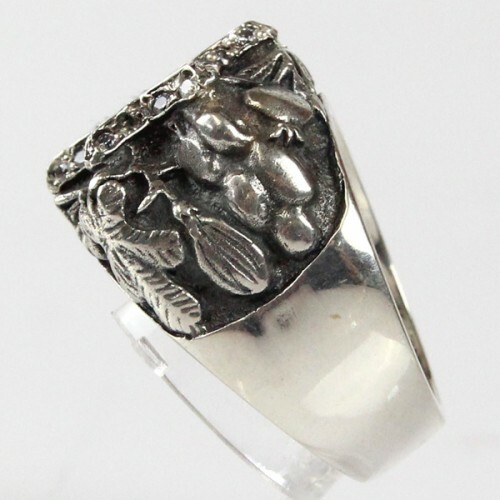 Height above finger – 8.5mm. / 0.335in. 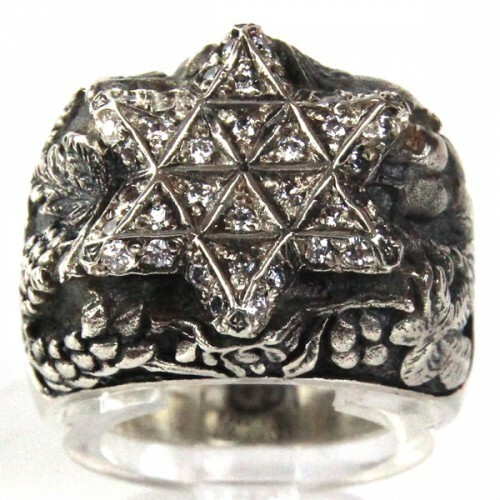 Signed Billy (In Hebrew) and 925 for sterling silver.